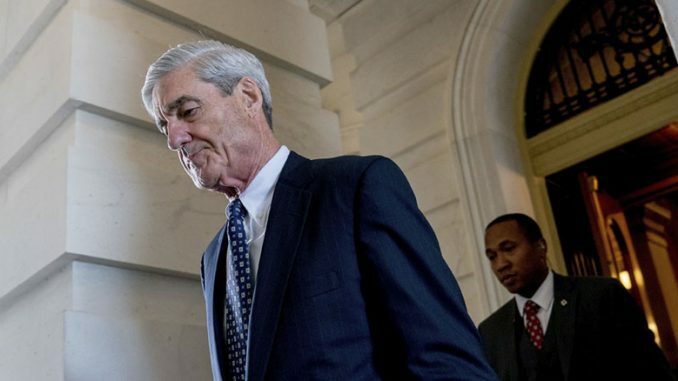 Special Counsel Robert Mueller indicted 13 Russian individuals and 3 organizations with interfering with U.S. elections, including the 2016 presidential election, on Friday. The 37-page indictment states that the Russian individuals and organizations have conspired to interfere with U.S. elections since 2014 by using social media to plant false information and using false identities to pose as U.S. citizens to funnel illicit foreign donations to U.S. political organizations. “The nature of the scheme was the defendants took extraordinary steps to make it appear that they were ordinary American political activists,” said Rod J. Rosenstein, a deputy attorney on Mueller’s team. The indictments come after President Trump has accused the Mueller probe as being a “witch hunt” and that the previous arrests of four individuals who worked on the 2016 Trump campaign had nothing to do with Russian interference. CNN reported Thursday another Trump adviser will plead guilty within days. Rick Gates, the adviser, is reported to have reached a plea deal with the Mueller probe in exchange for his cooperation. The Trump White House gives the appearance of being increasingly bogged down by the Mueller probe in recent weeks. Steve Bannon, Trump’s former Chief of Staff was interviewed this past week in the probe. It is unclear whether Trump will allow himself to be interviewed for the probe.